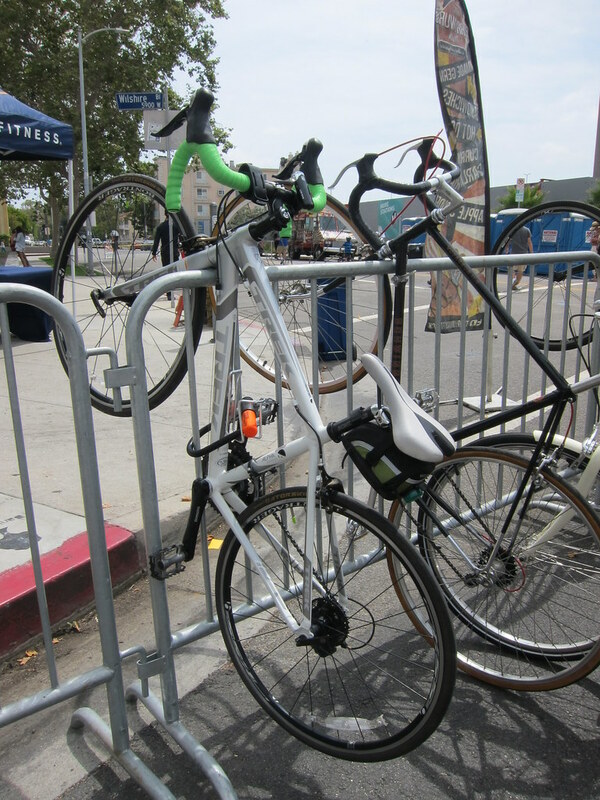 The Green Girl and Lexa attended CicLAvia - Iconic Wilshire Boulevard yesterday. 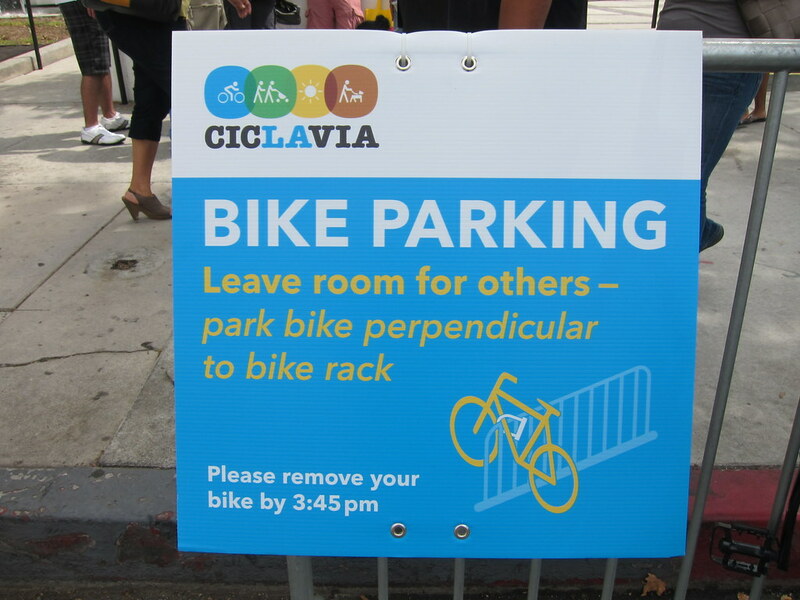 CicLAvia is a partnership of the City of Los Angeles, and the non-profit CicLAvia organization. 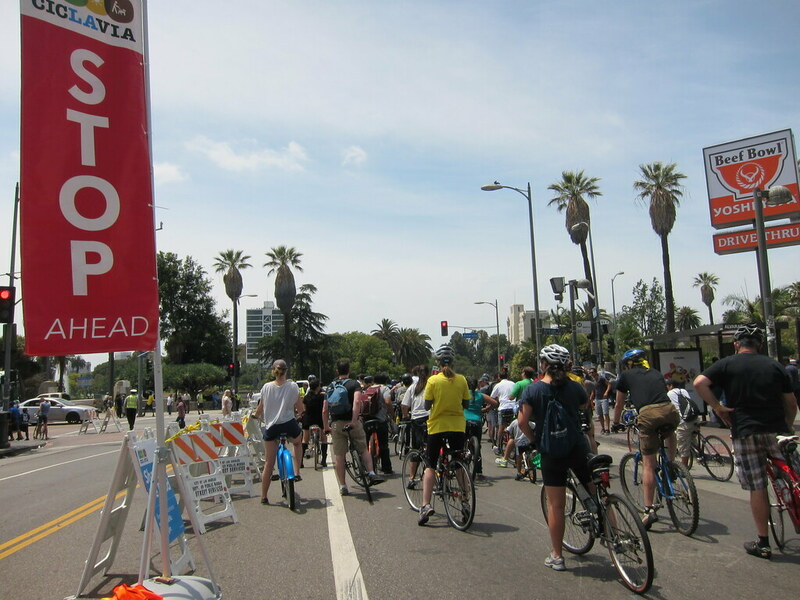 CicLAvia - Iconic Wilshire Boulevard was the 7th CicLAvia. The event created a 6-mile car-free stretch of Los Angeles city streets from the Miracle Mile to Downtown. There was no charge to participate and people of all ages and abilities were welcome to walk, run, skate, play, or cycle in this web of temporary public space, free of car traffic. 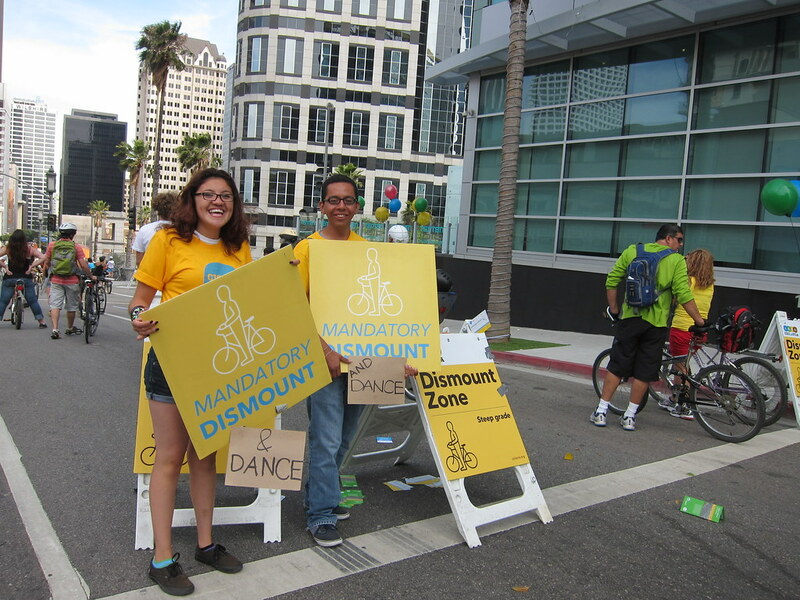 Each CicLAvia event costs approximately $350,000 to produce. Funds used are a public/private split. The CicLAvia organization covers 40% of the costs and the City of Los Angeles covers the other 60% with money appropriated from federal and state programs dealing with the environment, public health and alternative mobility as opposed to the city's general fund. The CicLAvia events were inspired by weekly street closures in Bogotá, Colombia known as ciclovías. Lexa and I cycled from my apartment to the LA Metro Aviation/LAX Station. 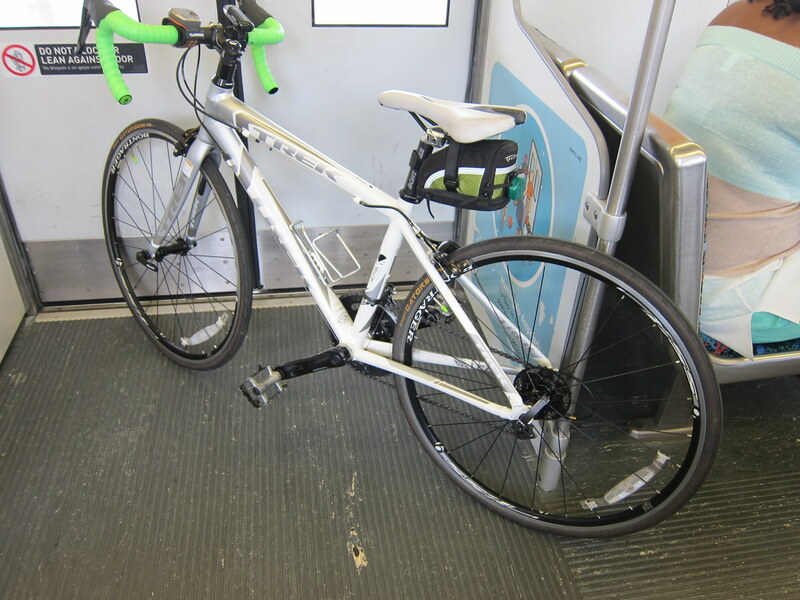 We hopped on the Green Line, connected to the Blue Line, and disembarked at the Downtown 7th Street/Metro Center which was near the east Pedestrian Zone. Instead of formal 'starting' and 'ending' points, Pedestrian Zones on each end served as demarcation points for the route. 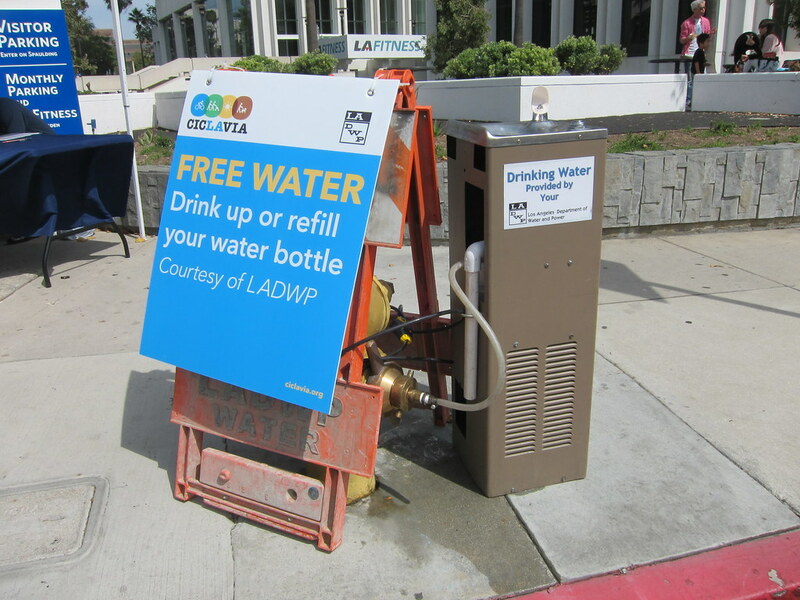 The CicLAvia - Iconic Wilshire Boulevard Pedestrian Zones featured free bike parking, free water courtesy of the Los Angeles Department of Water & Power (LADWP), food truck concessions, CicLAvia merchandise, family entertainment, and porta-potties. The event logistics were well thought out and everything was exceptionally organized. Informative signs were strategically placed to help guide participants throughout the event. I appreciated the instructional graphic at the free parking area since it was my first time using my Kryptonite Evolution Mini-5 U-Lock to secure Lexa. In the Pedestrian Zone, I spotted a food truck I'd never seen before - the Vchos pupusas truck. I couldn't resist ordering a pork & cheese pupusa. After the delicious pupusa, I retrieved Lexa and headed west towards the CicLAvia route. Once we exited the Pedestrian Zone, I hopped on Lexa and started cycling. Although the majority of the 6 miles was closed to traffic, there were four 'Crossing Points for Cars' patrolled by LAPD along the route. These open intersections were marked by large red 'Stop Ahead' signs. 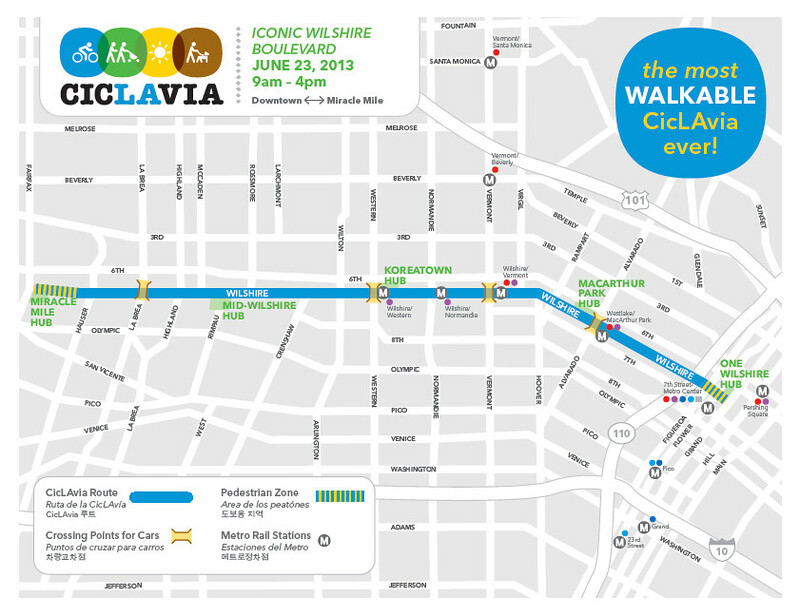 The CicLAvia - Iconic Wilshire Boulevard route passed through Koreatown. We heard Korean music and saw some Korean dancing. 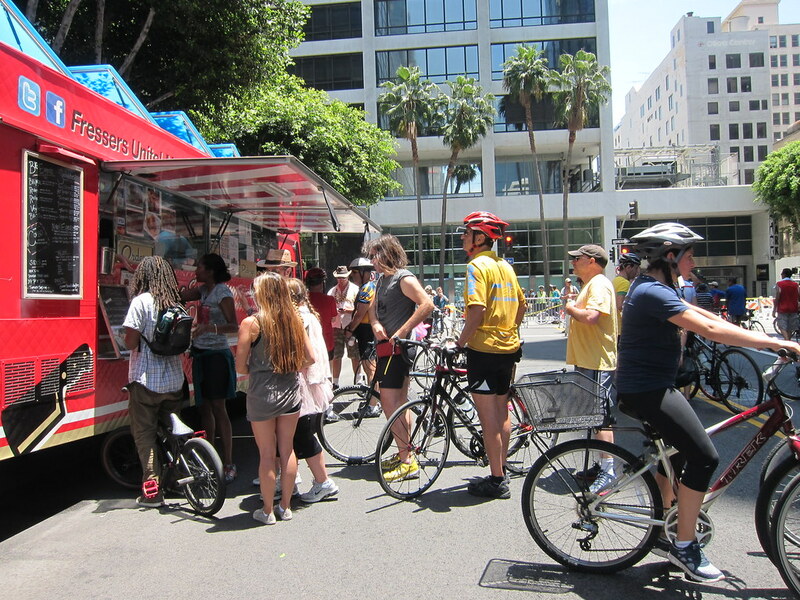 There were Korean BBQ tents and even BCD Tofu House offered specials for CicLAvia participants. Leading up to the Pedestrian Zones were Dismount Zones where cyclists were instructed to dismount and walk their bikes. The eastern Pedestrian Zone had all the amenities of the Downtown Pedestrian Zone. It also included the Kids Zone Kids Zone with a kids safety training course and helmet giveaways. 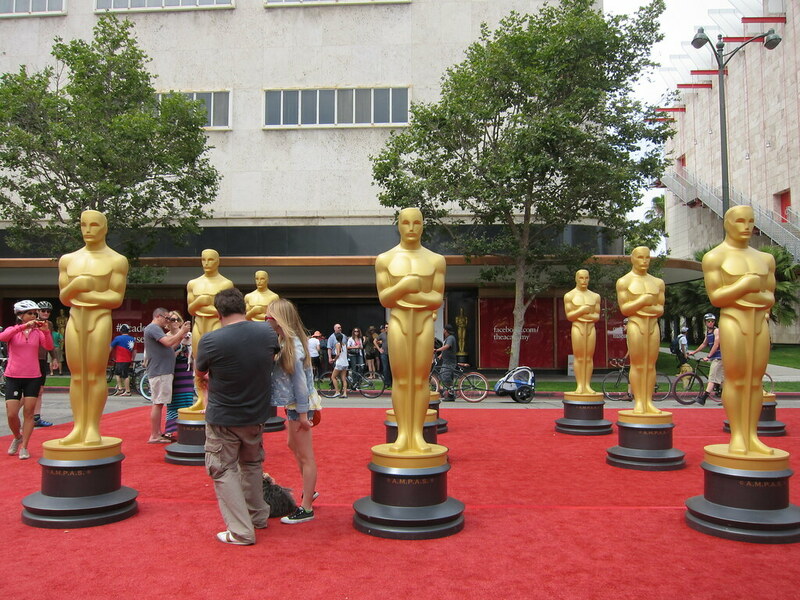 This Pedestrian Zone also featured the Academy of Motion Picture Arts and Sciences (AMPAS)'s homage to Chris Burden’s 'Urban light' installation with 7.5 foot tall Oscar statuettes in the street in front of their soon to be Academy Museum of Motion Pictures in the former May Company building. I locked Lexa in the free parking and wandered around. I stopped by the Fluff Ice truck and had an Original Fluff which is drizzled with condensed milk, strawberries, and mangoes. I'd describe Fluff Ice as a frozen dessert that is cross between shaved ice and cotton candy. I found it to be too sweet but perhaps that's because I ordered it with the option condensed milk. I visited the CicLAvia merchandise booth and donated $20 to CicLAvia and received a cute, limited edition LA Metro TAP card. 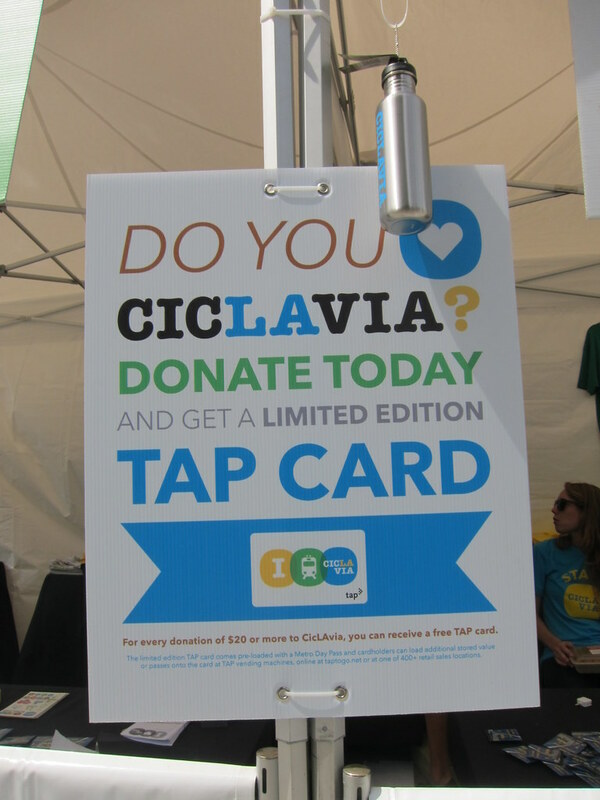 The Green Girl donated $20 to CicLAvia and received a limited edition LA Metro TAP card. Since it was getting close to the end of the event, Lexa and I headed back Downtown. 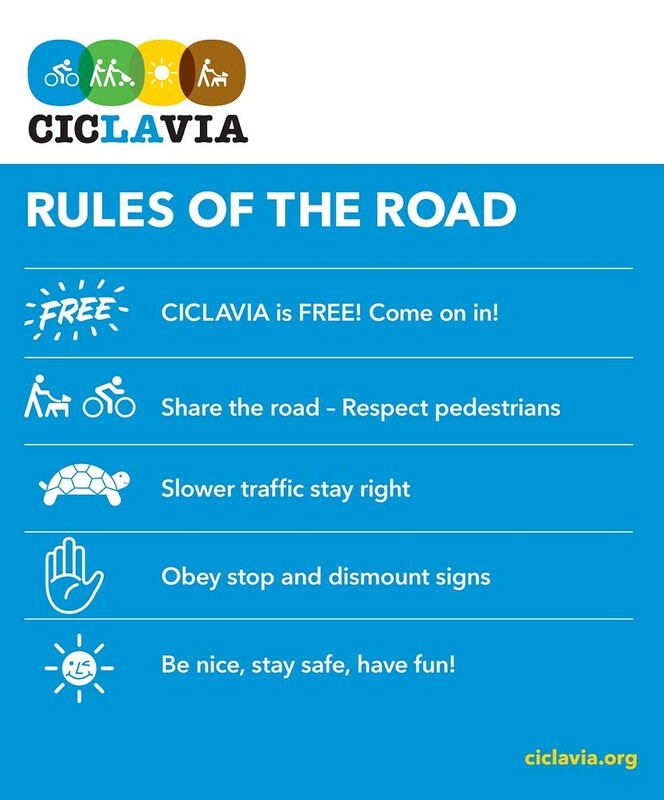 The only less-than-positive aspect of this event was the inexperienced cyclists and careless non-CicLAvia participating pedestrians. Despite the fact that Lexa and I were riding on the far left, I can't count how many times the cyclist in front of decided to stop without warning to send a text, take a picture, or for no apparent reason. I focused on being a defensive rider and thankfully, Lexa and I didn't get into any accidents. It was admittedly frustrating but I was still happy to see that they made the effort to come out and be active. Lexa and I thoroughly enjoyed our first CicLAvia. 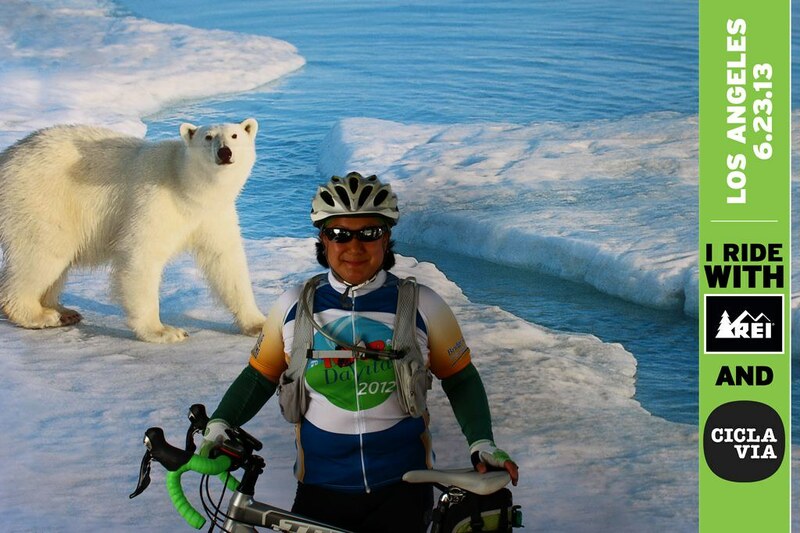 We even got to get our picture taken with a polar bear!